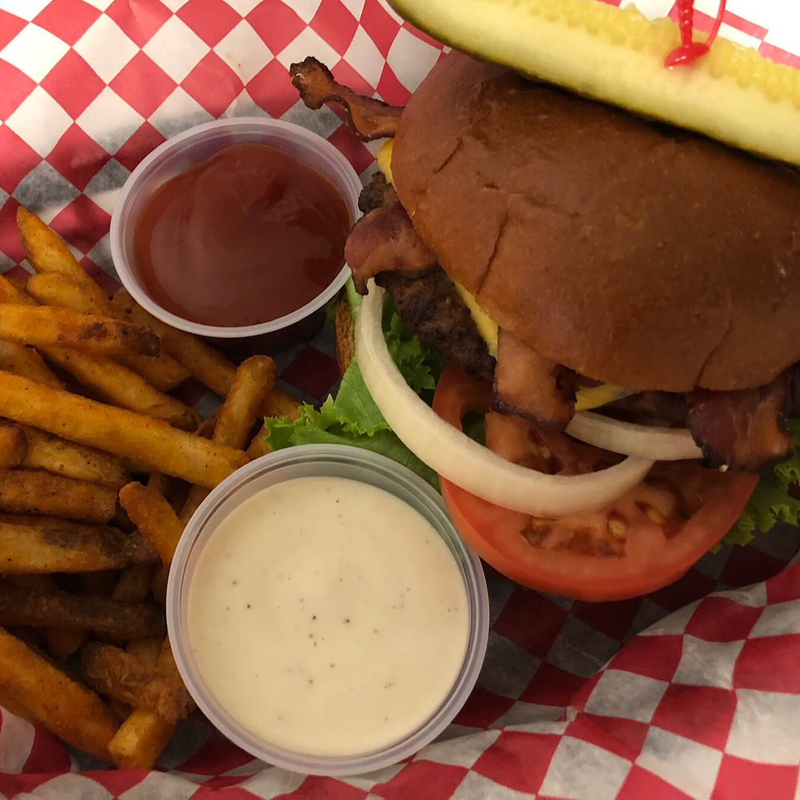 At Red River Lanes in Fargo, we’re not just your typical bowling alley, so if you’re looking for a great place to kick back after a few games with your friends or family, stop in our newly-renovated Slammers Sports Bar and grill. Open 7 days a week, Slammers is the perfect place to gather and enjoy some wings, cold beverages, shoot pool, relive your bowling highlights, or throw darts. Or, sit back in a casual atmosphere and cheer on your favorite sports team on one of our large flat screen TVs. Throwing a bowling party at our place? Top off your festivities with a few laughs in our bar, and don’t forget to check out our upcoming events. Slammers is also a great setting for league bowlers to catch up with their teammates! If you’re looking for a good time, our new Slammers Sports Bar has what you need! Stop by Slammers Sports Bar Today! If you’re into fun, why let it end when the bowling is over? Instead, stop by afterwards at our newly-remodeled Slammers Sports Bar and get the party started! We’re located minutes from the Fargodome at: 707 28 Ave. N in Fargo, and our bar stays open conveniently until 2 am on Fridays and Saturdays. For more information, contact us now or view our events calendar below. Baskets served with choice of French Fries, Seasoned Fries or Tots. Served with Lettuce, Tomato & Onion, Jalapenos, Cheddar Cheese & a Pickle Spear. Served with Lettuce, Tomato & Onion, Mushrooms, Sautéed in Garlic Butter, Swiss Cheese & a Pickle spear. Ground Beef wrapped in a flour tortilla with; Bacon, Onions, Pickles, Lettuce, Tomatoes & American Cheese. Covered with Ketchup, Mayo & Mustard. Your Choice of Fajita OR Spicy Breaded Chicken. 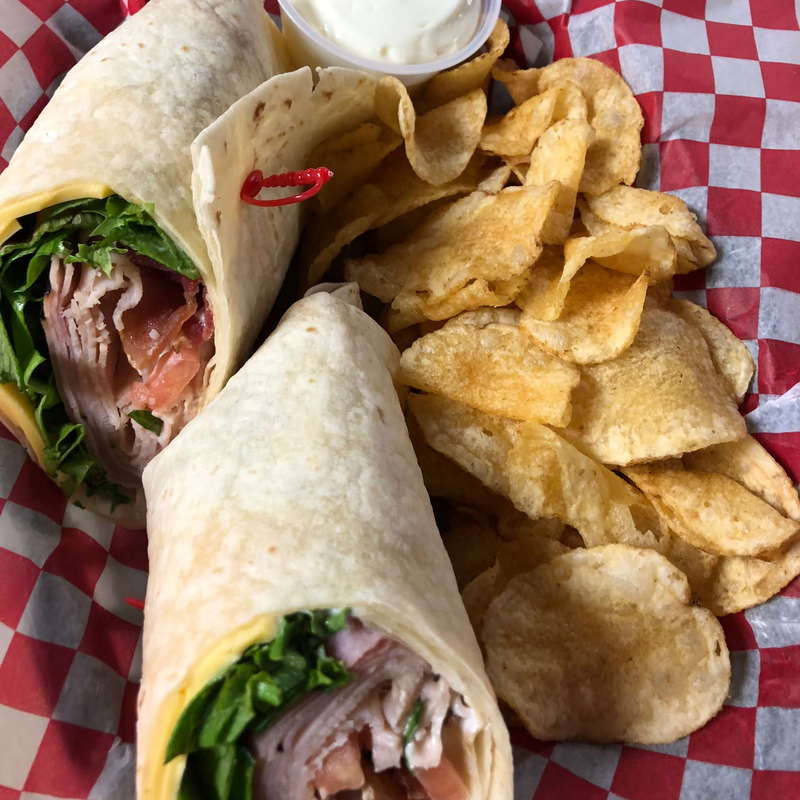 Wrapped in a flour tortilla with lettuce, Tomato and Pepperjack Cheese. Topped with Sriracha Ranch. Choice of Fajita or Spicy Breaded Chicken. Served with Green Peppers, Tomatoes, Bacon, Ham and our 3-cheese blend. Drizzled with ranch then wrapped in a flour tortilla. Choose Regular Cut French Fries, Seasoned Fries or Ranch Seasoned Tater Tots. Have em Naked, or tossed in your choice of sauce. Pick from Buffalo, BBQ, Sweat Chili, Bourbon, or Teriyaki. Choose Chicken or Beef. Topped with Jalapenos & Diced Onions, Smothered with Shredded Cheese. Served with a side of Salsa & Sour Cream. ALL OF OUR PIZZAS ARE MADE IN HOUSE ON A WEEKLY BASIS. 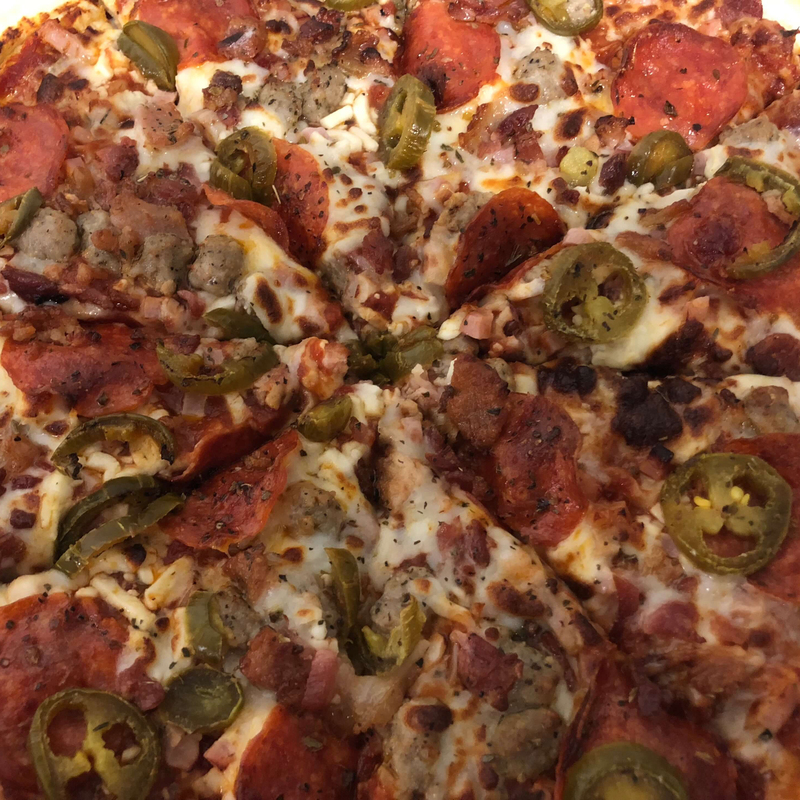 HAVE SOME TOPPING IDEAS FOR US? Topped with our Robust Marinara Sauce, then loaded with Pepperoni, topped with Mozzarella Cheese then sprinkled with Basil & Oregano. Robust Marinara Sauce, topped with a 4-cheese Blend and sprinkled with Basil & Oregano. Topped with our Robust Marinara Sauce, Pepperoni, Italian Sausage, Dice Canadian Bacon & covered in Mozzarella Cheese. Robust Marinara Sauce, then topped with; Pepperoni, Dice Canadian Bacon, Italian Sausage, Diced Bacon, Jalapenos & Mozzarella Cheese. Sprinkled with Basil & Oregano. Robust Marinara Sauce topped with Italian Sausage, Green Peppers, Diced Onions and Sautéed Mushrooms covered in Mozzarella Cheese. Sprinkled with Basil & Oregano. Robust Marinara Sauce topped with Pepperoni & Italian Sausage. Seasoned with Basil & Oregano. House made Buffalo Ranch Sauce with Cracked Red Pepper Flakes, Parmesan Cheese, Fajita Style Chicken and Mozzarella Cheese. Seasoned with Basil on top. Creamy Alfredo Sauce seasoned with Garlic & Herbs, Topped with Fajita Chicken, Diced Green Peppers, Diced Onions & Mozzarella Cheese. Seasoned on top with Oregano Flakes. Every Month we let our creative juice flow and come up with a specialty pizza. Ask your Server/Bartender for more info. Garlic Butter Spread onto Texas Toast. 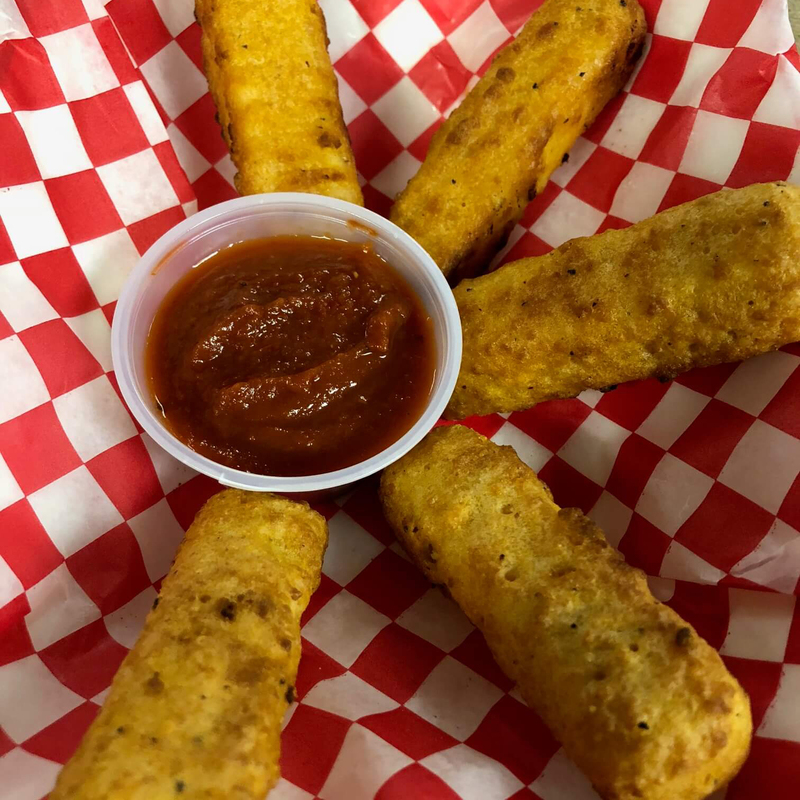 Covered in a 3-cheese blend served with choice of Ranch or Marinara.